How do I add Google Analytics to my page? If you would like to combine the built-in SparkPage tracking with your own Google Analytics service it could not be simpler. 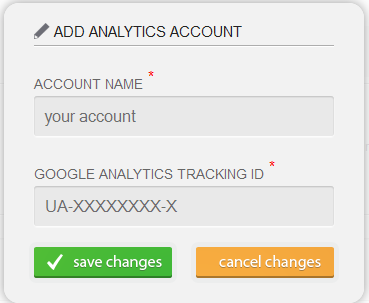 In the Analytic page Simply choose "Add analytics account"
Input your Google Tracking ID and you are done!